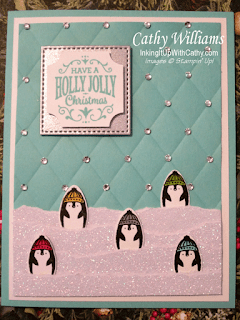 This card was inspired by one that Mary Middendorf created. 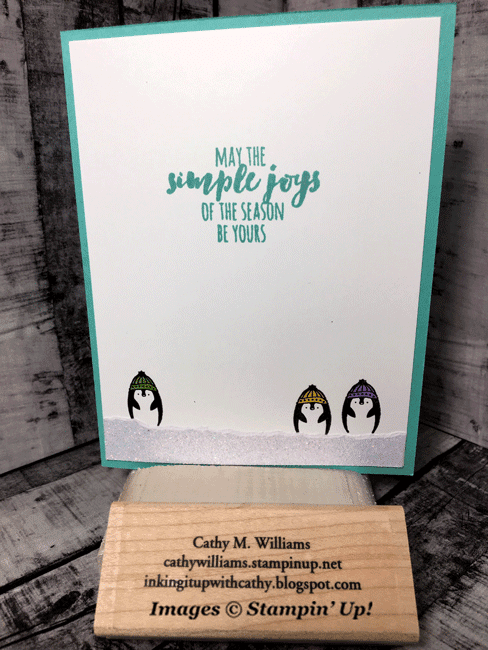 I loved how the little penguins from the Making Every Day Bright stamp set were sitting in the snow with their little knit caps on. 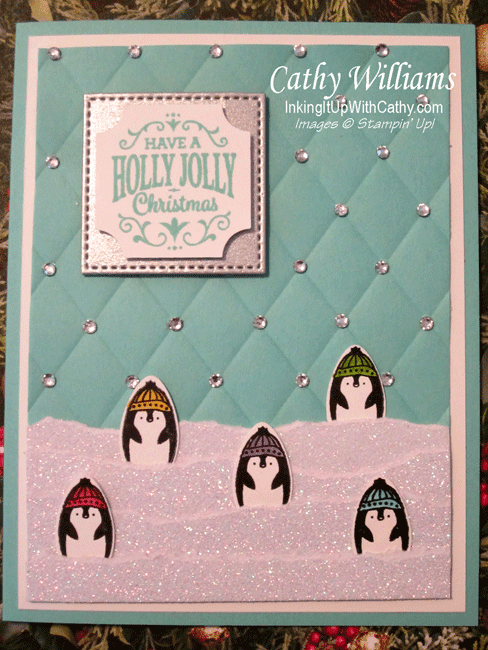 I used the Tufted embossing folder and then lots and lots of little rhinestones! I paired the Christmas Traditions stamp set from the Christmas Traditions punch box with the punch from the Darling Label Punch box so show the versatility of these stamp sets and the punches. The galvanized foil sheet was cut using the stitched shapes dies.